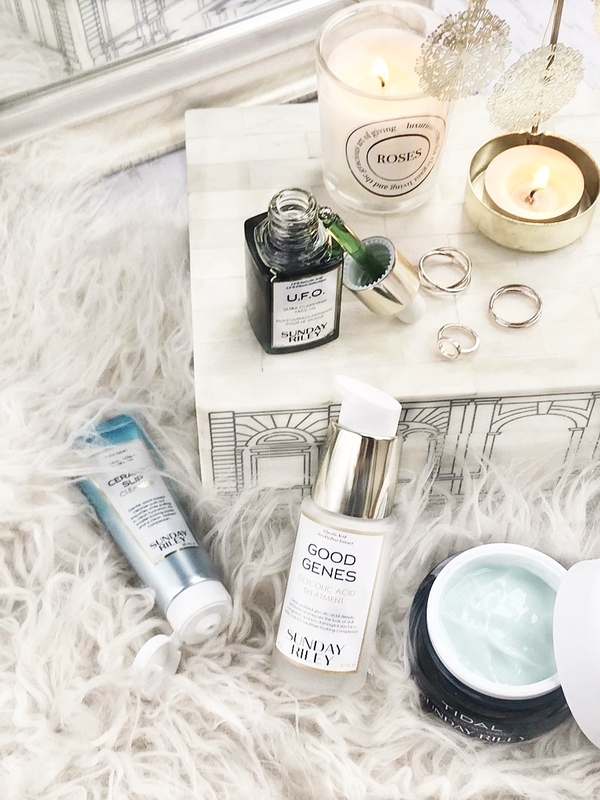 Sunday Riley describes themselves as an advanced, high-performance skincare brand offering real and noticeable results - and I couldn't agree more. 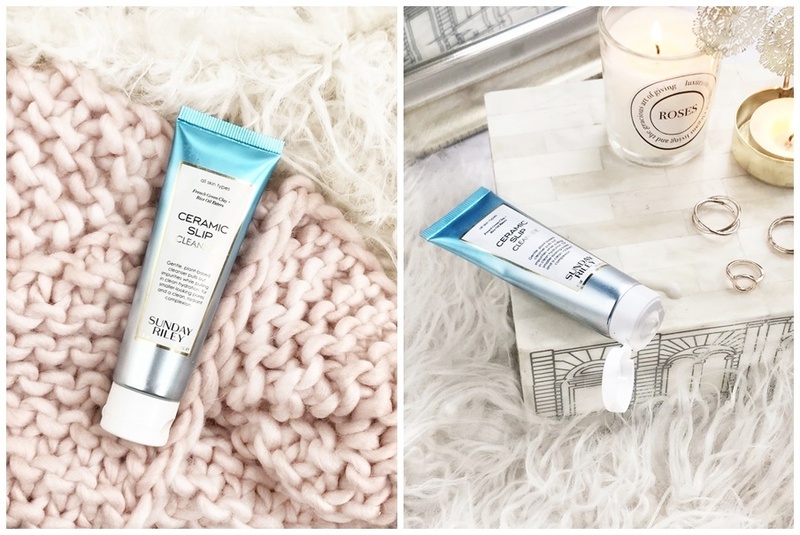 This is why I've been a fan of Sunday Riley since the first launch of Ceramic Slip Cleanser that recently got an upgrade both in formula and packaging. That very cleanser made me realise that it was possible to balance out my oily skin, as I saw nearly instant results from it, and it without s doubt got me on a quest of changing up my skincare routine, introducing products that were effective at balancing serum production and keeping blemishes at bay long term. For this reason along with lots of other skincare (obvs!) I've stuck with Sunday Riley ever since, enjoying their AHA treatments, cleansers and all-round approach to skincare. Below you will find the products that work best for oily and combination skin. 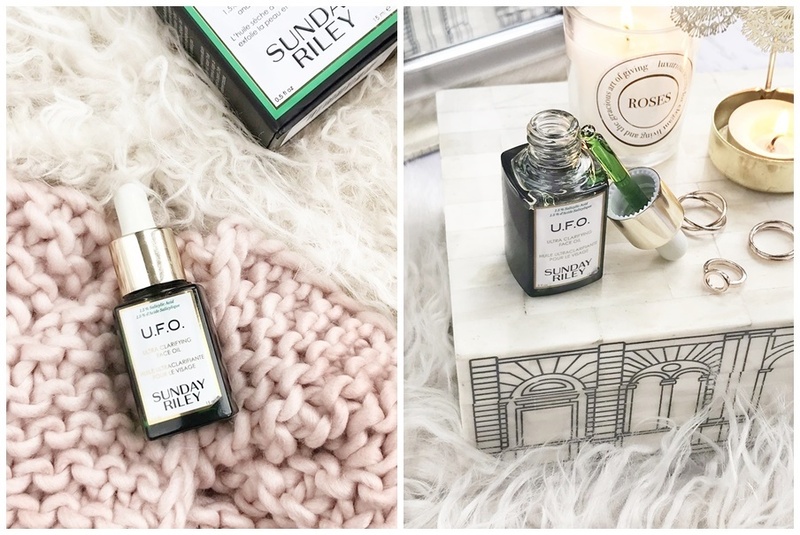 All products mentioned along with the entire Sunday Riley range can be picked up throughout January with free worldwide shipping on Cult Beauty! This post has been kindly sponsored by Cult Beauty in collaboration with their Brand of the Month campaign. All thoughts are my own. This plant-based cleanser has sat on my bathroom shelf for the past 4 years. In that time it's had 2 formulation upgrades along with an aesthetically pleasing packaging update and I'm pleased to say it's still a favourite. Unlike other facial cleansers, you will notice how your skin will look incredibly clean while still feeling ultra soft without a hint of dryness. This is thanks to the perfect formulation again that encourages hydration! If you are new to Sunday Riley or have simply clicked this post because you too have oily skin then this is the product I would always recommend first - simply an amazing everyday cleanser for happy skin. You can also find a 30ml travel size of Ceramic Slip, along with two other products in the Sunday Starter kit here for £20. 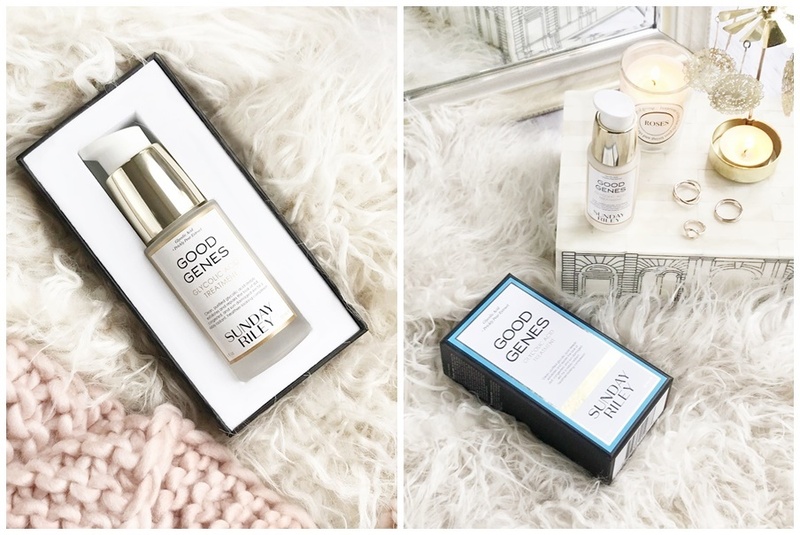 Recently reformulated swapping Lactic Acid for Glycolic Acid to meet UK and EU regulation, Good Genes is back and better than ever! Having tried both formulas (you can still buy Good Genes Lactic Acid Treatment in the US) I can say while both work amazingly well as mild yet highly effective exfoliating treatments (they slot in just before serum and moisturiser a.m or p.m) I'm pleased to see a less tacky and smelly version with the glycolic acid reformulation. If you are looking for an all-in-one treatment that will eradicate congestion, naturally exfoliate, smooth and brighten then this is the product for you. Yes, it's not the cheapest of products however it's a treatment that certainly gives visible results and while suitable for all skin types really works wonders on oily skin by breaking down those built-up dead skin cells and de-clogging pores. A true wonder product right here! 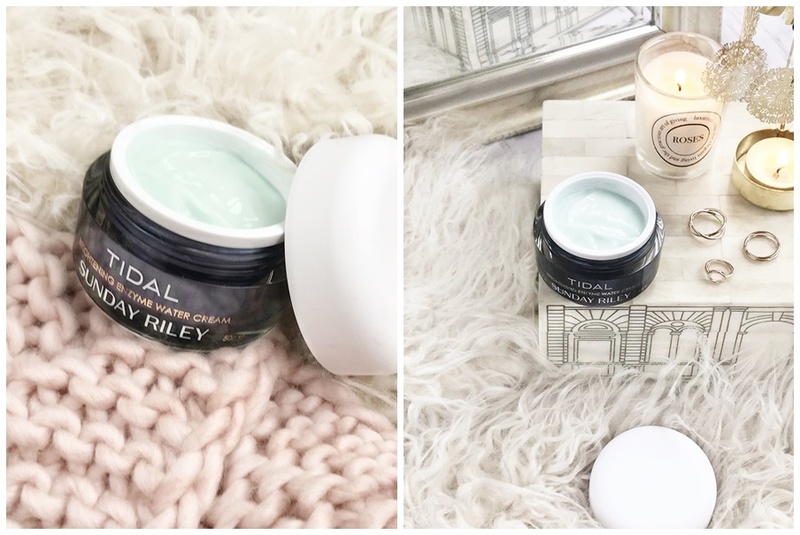 Described as an advanced brightening and refining treatment, Sunday Riley has gone and done it again, giving the appearance and feel of a simplistic product that in fact is far superior to similar products on the market. While this pale blue lighter than light gel face cream could easily slot into most skincare routines this is a moisturiser that makes a difference... actually all Sunday Riley product make a visible difference. From instant hydration and incredible softness (the kind of baby softness you find after using an AHA based product) to a brightened appearance over time. I also love how the beyond light texture soaks into the skin instantly and while the formula is completely absorbed this hydrated baby soft smoothness is instantly felt. This not only makes naked skin feel comfortable and happy but is a great base for makeup to be applied onto. Also available in 15g travel size for £20 here or in the Sunday Starter Kit containing Ceramic Slip Cleanser (30ml) and Auto Correct Eye Cream (15ml) for the same price here. I'm a huge fan of lightweight facial creams that work well and this is certainly a favourite. Talking of my favourites, make sure to look out for a post all about my favourite gel moisturisers, including this one, for oily skin at the end of the week! Facial oils don't often go hand in hand with oily skin as it takes a well-formulated product with the right ingredients to get close to being suitable for such skin type However, Sunday and her team have gone and achieved just that with this incredible face oil that aims to tackle blackheads, spots, post-acne pigmentation and redness, all while offering just the right amount of hydration to the skin. Coming in a green uniquely scented herbal thin oil but applying clear, only the smallest amount is required for the entire face - 2 drops at most. This allows the facial oil not to sit on the skin but fully soak in within a minute or less. Classed as a medicated dry treatment oil the 1.5% salicylic acid is the star of the show here making it the ideal nightly treatment for all skin congestion issues to clarify the skin overnight. While salicylic acid is known for being drying, often drying the skin around spots, the clever dry oil base allows this not to happen making this the ideal formula for salicylic acid in my opinion. This is my newest product from Sunday Riley but I can't believe what a difference it's making to my skins appearance overall already. If you feel like your skin would benefit from this clarifying but skin soothing treatment especially if you find you have reoccurring blemishes and blackheads then I'd highly recommend picking up the 15ml size as a little really does go a long way! Let me know if you love any of these Sunday Riley product already or if I've convinced you to try anything out! 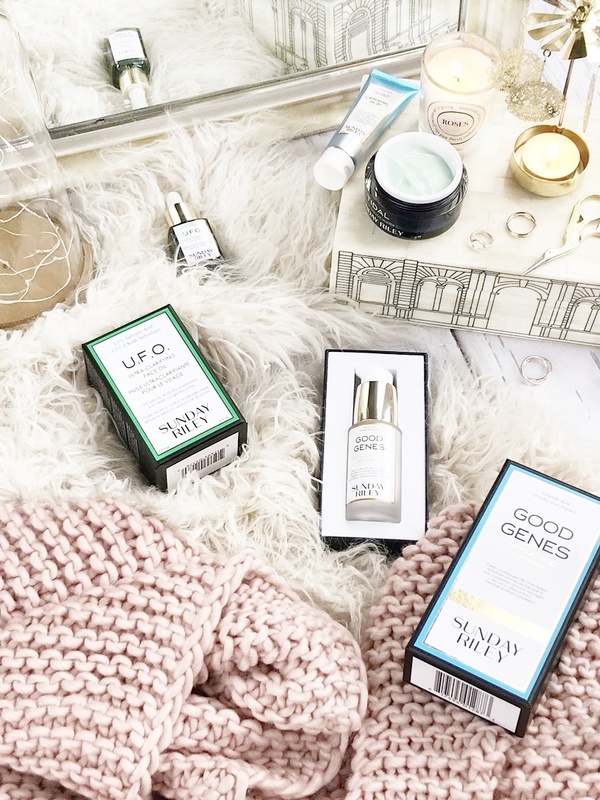 My top oily skin picks would definitely be Ceramic Slip Cleanser and the amazing U.F.O Face Oil.